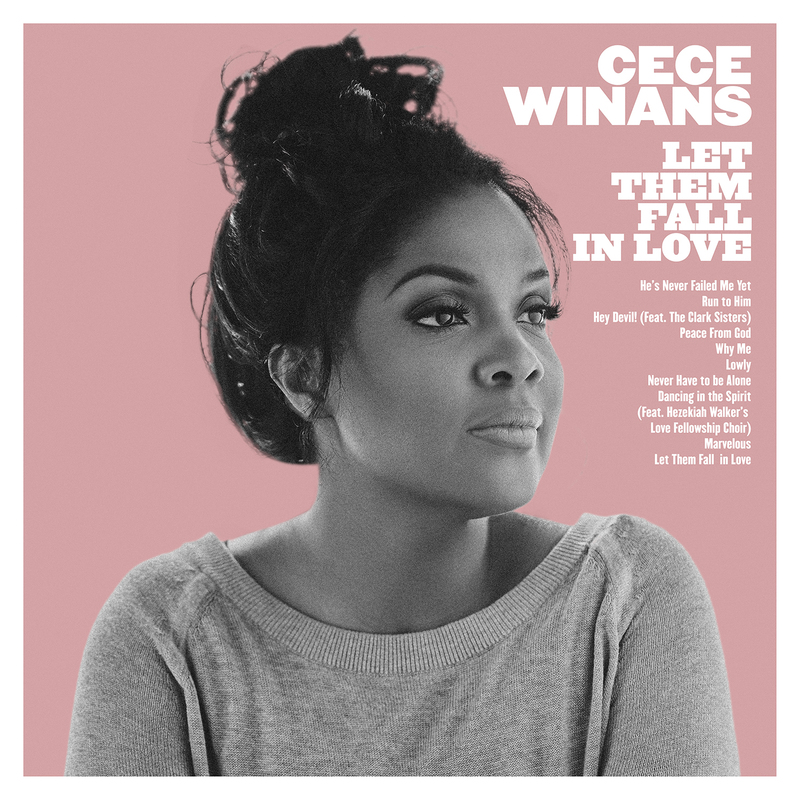 CeCe Winans | Let Them Fall in Love - TheUrbanMusicScene.com | Music Reviews! Imagine a multi-award winning gospel artist in the studio, one half of a well-respected brother/sister duo and a member of an extremely famous musical family, with her son mapping the direction of the latest recording session. This is a recent true life scenario between CeCe Winans and her son Alvin Love III, whose conceptual words of wisdom was effectively a beneficial move for this praise and worship icon who has blazed the contemporary urban gospel charts with her brother, BeBe Winans, and with her own solo career. CeCe’s initial adherence to her loving son’s advice was understandably hesitant, but after everything was taken into account, this detour of artistic direction was not quite the left-of-center edge that some may have anticipated. So instead of the R&B/hip-hop inflected arrangements that carried most of her previous work, co-producer/co-songwriter Love III and Cece’s longtime producer Tommy Sims delve more into traditional gospel, sprinkled with several doses of sixties’ pop textures. With her first album since the 2010 release, Songs of Emotional Healing, Let Them Fall in Love reflects that fresh artistic sound inspired by Love III, especially in the first two-thirds of the ten tracks. Once the dust settles, however, Cece still strikes with a vocal confidence that surely loves the Lord, which is what counts the most in her difference-making ministry. CeCe swiftly navigates the gentler moments that address important attitudes and life’s issues. “Peace from God,” another sixties pop ballad – this time in the vein of Burt Bacharach – directs believers into praying for the fragile condition of the world: “He is right where you are.” The Kris Kristofferson 1973 smash hit, “Why Me Lord,” invokes a contemporary country feel with a pedal steel and subtle congas. While most of Let Them Fall in Love covers new musical ground, loyal CeCe fans will recognize her familiar contemporary quality on “Never Have to Be Alone,” dealing with the battles of depression and loneliness and the title track which is graced by an all-male background choir. Considering the minor blemishes, credit Love III in sticking to his musical vision for Let Them Fall in Love, backed by CeCe’s always reliable vocal execution. Four and three-quarter stars out of five.